How many times have you considered brand building exercises only to find out that the costs and time to implement quite simply outweigh the benefits? Our corporate offering is cost effective, a breeze to implement and equips your customers with a useful service! 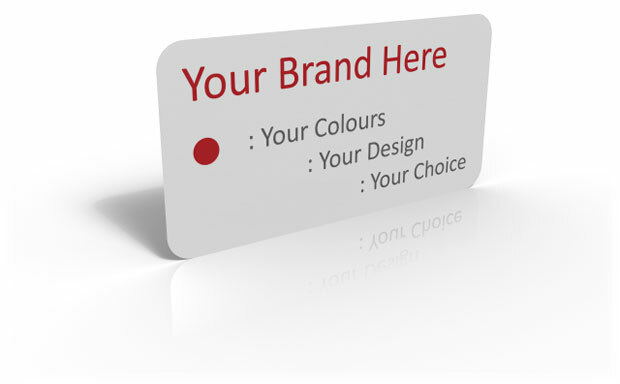 All you need to get moving is a design you would like featured on your tags and to then start supplying us with your customers contact details and we'll do the rest. We supply your tags straight to your customers without any effort from yourselves and continue to service your client during the agreed validity period. With a full featured toolset to aid you we generate reports to show your customers activities, provide you with online proofing tools and expose a variety of ways to send your data to us for your convenience. You are free to brand your tags as you wish (making sure to keep essential components in the design e.g. customer reference number) also enjoying volume discounts and any custom mailing requirements. We are very receptive to any ideas you may have and in most cases are able to mould solutions to suit your individual requirements. For more information use our enquiry form and somebody will be in contact with you the same business day to discuss your requirements.